Really proud of you Drift! I know that doesn't mean anything, but I just wished to state it. There's an ongoing conversation about Difficulty and Accessibility in games at the moment. I don't know how familiar you are with other From Software's games, apart from Dark Souls 3, but it's great to have these videos showing that with enough patience and perseverance, anyone can beat a hard game. It would be great if you recorded and shared all the bosses fights you did, I don't believe there's any problem showing them, since there's already thousands of videos on YouTube. But only GamerSyde has this top level quality. There's even a "Quadriplegic Parry King (Dark Souls 3)" video in there. I wouldn't have a problem with an easy mode in any of the From Software games. I could still play on the default setting and wouldn't notice a difference. There's probably a lot of people who would enjoy From's games more if they were easier. Now of course, not all games are for everyone and neither should they be, but if it's just difficulty that is impacting people's enjoyment of the game an easy mode would be a great option for them. Just took a look at the Sekiro reddit and saw a couple of people who were hesitant to buy the game because of the difficulty. Having an easy mode as an option would make their decision a lot easier. "showing that with enough patience and perseverance, anyone can beat a hard game"
Yes that's probably true, but not everyone enjoys putting in the time it takes to do this. Thanks for sharing that video, really cool to see what some people can do. Yea I agree about GS sharing the boss fights, I really like watching them. I agree with everything you've wrote. Time is the aspect that's most impactful, because it's not a lack of skill or effort to get better, but some people just don't have that much free time to be stuck into an area or boss for hours, days or weeks. I read a comment of someone who spent 20-30 hours watching YouTube videos until it clicked with them, while maybe an extreme case, that's a lot of time just to learn a combat system. I also read a comment of a person with a 12 hour job, married and with a 20 month baby child who only has 1 hour per night to play and that he doesn't want to stay stuck on the same boss for days on end. Then there are posts by people who spent days or weeks to defeat a single enemy or to pass an area. Many people don't care about games for gameplay's sake, but for the story telling in them or the overall experience, of which gameplay is just a part of. 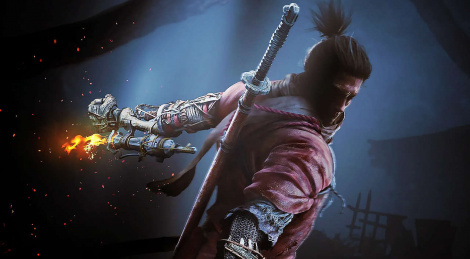 The main issue with Sekiro is that it's not a very used setting and style of combat in games nowadays, it's made by a triple AAA studio with the highest predigee and budget, the game's setting and combat are excellent, the story is intriguing and everything people have seen, read and heard about the game exalts how much of a masterpiece it is. So a lot of people who never cared about other From Software's games, really want to play Sekiro. To me, I will echo the statements I've heard all my life by hundreds of artists, where they said that they just wanted their creations to be enjoyed by as much people as possible. So in that sense, I will always argue in favor of multiple difficculty settings in any and all games. However, in that same sense, I still respect Miyazaki's vision, he is Sekiro's director and he has spoken in the past about how overcoming difficulty and the satisfaction and self confidence it brings are some of the main goals with his games. He and the whole studio have heard from many people over the years wanting for an Easy mode, if they haven't done so, it's because they want their vision to be absolute without any compromises. Even if that means 10-100 times less people will ever play their games. Honestly, I can see both sides of the arguments. Still, the choice should be there for people to choose. Those who respected his vision would take the most enjoyment out of the game, while those that don't have the time or care to put in the effort would still get to enjoy his work. This is true for most games, be it skill or time based. I played Assassin's Creed: Odyssey for 130 hours till 100% completion and loved it, those who played less, even much less like just the main story didn't lose much. I got the most enjoyment out of it, but those who didn't invest as much time with the game also got 60-90% of the enjoyment I did. The same is also true with skill based games like Devil May Cry and Bayonetta. But this is true with everything, really. Generally speaking, those who invest more time into something, get more enjoyment out of it. People who only watched the Harry Potter movies, didn't get as much enjoyment as people who read the books or did both. And then there's people who read the main books, the compendiums, guides, lore books and everything about the Harry Potter universe who got the most enjoyment out of the franchise. Just give people as much choice to decide for themselves how much commitment and investment they want to dedicate to something and you will never be wrong. They will taylor the products and services to their life styles and preferences, instead of the other way around. Really enjoyed reading your reply. You brought up some great points. I can really relate to how the more time spent with/doing something, the more you enjoy it. I rarely replay a game, but especially with the From Software games, playing them a second time is a totally different experience. You know exactly where to go and are much better at handling all the difficult fights. I feel right at home in the world, knowing where to go and what to do. Knowing how it ends really helps me to enjoy the ride more, whereas the first time through is mostly stressful and I'm more focussed on getting to the end credits. I saw a fair number of people saying this is the most difficult From Software game yet, but that hasn't been my experience so far. It's still really really hard and everybody in my game is dying from dragonrot, but it's on the same level as the other games in my opinion. The main difference is tapping the block/parry button instead of the dodge button. The fights are also a lot faster paced and there's a lot less trash mobs but more mini-bosses. I agree for the most part, but the most interesting/boring question is the usual: would Dark Souls (et similia) be equally interesting and memorable by stripping out the difficulty? It took me 6 months to finish the first DS and, honestly: I think it wouldn't. That's the bulk of the game's offering, really. Dark Souls 2 has a very nice approach: equipment. Some equipment limits the effect of various maluses (like the health bar not being reduced that much after dying repeatedly) while others increase the challenge even more. This is a very interesting approach, instead of (or in addition to?) difficulty levels, and can make more sense in a game world. If you make an horror game, making the enemies less scary/deadly will directly hurt the experience. But if i have the chance to receive or collect a contextual and integrated hint/equip/weapon, it will help me overcoming the challenge without feeling like i'm missing out on the game's world. Personally I don't like Dark Souls 2's approach. The vast majority of players will die enough to have their health halfed, more or less forcing them to use the ring that reduces the penalty to health. Of course not using the ring is an option, but that just doesn't make sense since having only half health is a very harsh penalty. So already one of the ring slots is taken up, where instead there could have been a more interesting one, a ring to actually effect your playstyle. I agree, but this is also kind of like the point, no? You accept to leave something behind in exchange of a safer route. Also, 1 humanity is enough to restore the health and the maluses take a lot of deaths to really add up, so you have a choice once you find the courage to run the risk. It could be better balanced, but I find the idea really interesting. The alternative would be to make encounters less deadly, which would make the slow and deliberate gameplay pretty much pointless. If you know you're gonna survive anyway, you would be just a lunatic sprinting in some dungeon. This is a great discussion. I love Dark Souls 2, I know many people regard it as the worst of Soulsborne games, but I really loved the increased speed and fluidity, the pace of combat, the characters, the voice acting, the locations - Majula is incredible, etc. I didn't rely on the Ring of Binding much, to be honest there are around 20-30 far much better rings in Dark Souls 2. The First, Second and Third Dragon Rings are almost mandatory by how much benefits they give you - same for Maximum Equip Load and Blue/Red Tearstone rings. Then there are other more situational rings like Petrification or Bleeding resistance, if you're in an area where those effects are very common. That's the beauty of Dark Souls 2, the rings system truly shines and allows for a really high number of different builds more than any other Souls game. Anyone who relied on the Ring of Binding too much kinda made the game worst for themselves and also more difficulty imho. I would have put Sekiro higher, but the camera and losing locking-on problems are very bad and happen constantly. Then there's the fact that Sekiro's Soundtrack isn't very memorable like past From Software's games and specially the Tenchu games. I listen to these games' soundtracks all the time and Sekiro is a real letdown in this department. While that's really incredible and shows the person has truly mastered the game's combat system, it also shows how very limited it is, when a single action can trivialize almost all encounters in the game, the combat system has an extremely deep flaw in combat complexity. This reminds me of how people used to say you could complete old God of War games by just pressing the Square button during combat. I still love the game, but that glaring flaw is impossible for me to unsee now that I have watched that video. I finished the game first before watching any videos, so I knew the game relied a lot on Deflecting, but that video zooms in and shines a really bright light on the problem, which is lack of diversity in the combat system. Perhaps there's a video of someone beating the bosses only using tools, but that would be excruciatingly long as they deal very little damage, with some having long start animations. So there's not that much diversity in the combat - being able to use other weapons - like spears, axes, maces, etc. - which relied less on Deflecting would have made the combat 10 times better and allow for truly different play styles. I wish all or most of the tools were effective for all bosses, but usually it's only one or two at most, even for normal enemies. Also, for an Action-Stealth game, not being able to use Stealth when fighting bosses invalidates half of the game's genre and the systems it put into place for you to get better at. As well as many of the skills you can learn which are Stealth only. Again, this reminds me of another game, the orginal release of Deus Ex: Human Revolution, when you couldn't use Stealth against bosses, which people complained a lot about it and the developers themselves admitted was a very big mistake on their part, which they corrected it when they launched the Director's Cut edition. I still love Sekiro, but the combat is the weakest in all of From Software's games and Stealth is only useful against common enemies and getting the drop on some mini bosses. While the tools don't offer enough flexibility for all play styles, forcing you to rely on only one or two tools for each encounter, because the rest are almost useless. I really like Sekiro as well, but you're right, everybody plays the game in nearly the exact same way because there is only one option, deflecting. I always liked seeing what crazy builds people could come up with in the Dark Souls games, but that's no longer relevant. Had the tools been made more useful it could have added a lot of variety and creativity to the combat, I think. I did watched one of his direct streams and dude was stuck on Lady Butterfly for hours and honestly i don't wanna know how much time he have invested on later ones haha. Using deflect only is extremely hard and tedious process for boss battles and even impossible without lower a bit their health with prosthetic tools/items (some of them regenerate their posture quite fast). But yeah lack of different weapons kinda hurts the replay value in Sekiro. For that reason alone i'll put RE2 above Sekiro this year. In the video I linked, he killed Lady Butterfly somewhat fast, only had a bug where one of the ghots didn't disappear - which one of the users in the comments said it happened to him as well. But he still managed to kill her somewhat fast. The one that took really long was Genishiro's first fight after the prologue. But it was great watching it since when he was done, he was ecstatic because it was hard as hell and took so long to finish. All of those fights made me want to do a "No Attack Run" as well. I agree with everything you said, though I still love Sekiro. It's just that when you step back and analyse it more carefully, you see some chinks in the armor. But I'm still watching videos of Sekiro all the time and it's giving me a real hard wish to go back, but I'm trying to finish other games first. Also, it will be nice to return to it after some time have passed and I've forgotten many things, will give a sort of fresh experience. I'm still between Resident Evil 2 Remake, Metro Exodus, Devil May Cry 5 and Sekiro for game of the year - haven't played Kingdom Hearts 3 yet, waiting for a possible PC release. They're all excellent games with both pros and cons. Though I agree with you, Resident Evil 2 Remake is some of the most fun (fright/dread/tension) I had this year, although Sekiro gave me plenty of that too. I also highly recommend Devil May Cry 5 at the hardest difficulty, another excellent game. It's really hard deciding, too many damn great games coming out all the time. This month will see the release of Mortal Kombat 11 and Katana Zero. Katana Zero is not very well known, but people who played it swear it's even better than The Messenger and other great games like it. I linked to its 2 trailers below, giving a hard Sekiro vibe, specially with the Rewind mechanic, which gives you a second chance after you've made a mistake. @Sdarts - dunno i watched his stream on twitch and he kept dying during her second phase, because when she summon these illusion dudes it recovers the posture. He struggled a lot. I'm keeping an eye on Katana ZERO as well btw. That miht be it. I only watched the video, which is clearly the fights in which he succeeded. I was actually wondering that during te video, how many times and hours practing it took him to reach that level. It's like when somwone throws a basketball shot with their eyes closes standing with their backs to the net and at the other side of the court and it gets in. They record the whole thing and try for hundreds or thousands of times and when they get it right, they just show the shot in which it went in. PS. I just read the news after posting this, Sekiro has sold 2 million copies in just 10 days, by now it must be 3 million or maybe even more. That's gotta be a new record for From Software, which also shows what I said before, there's a lot of new players who never played a From Software game before. Hence why so many people are arguing for an "Easy Mode" now with Sekiro, when they didn't care much with the Soulsborne games before. 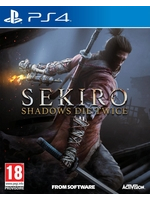 Not many Shinobi/Ninja or even Stealth games nowadays, so Sekiro got a lot of newcomers. Well, now they know the "From Software" experience.